Canadian students who have already attended a college or university, AND have completed at least 24 semester hours are considered TRANSFER STUDENTS.If you are transferring fewer than 24 semester hours of college or university credit, you must apply as a first year student. If you didn't already pay your application fee online when you submitted your application, you may call Enrollment Services at +1-701-858-3350 with your credit card information. You may also pay by a U.S. check or money order. Make the check or money order payable to Minot State University and note the applicant's full legal name as it appears on driver's license/passport. Transcripts must be official and issued directly from the college or university to Minot State University. If you have had possession of the transcript in must be in the original unopened envelope in which the school issued it. Opening a transcript will make it unofficial. Students transferring from a non-English speaking university in Canada must submit an official transcript from the institution reflecting all courses attempted and grades received; in addition to a professional course-by-course, or detailed, evaluation completed by World Education Services (WES), Education Credential Evaluators (ECE) or American Education Research Corporation (AERC). Students must also provide an English translated copy of the institution’s catalog or a copy of the course descriptions or course syllabi from the catalog to aid in the evaluation of transfer credit. Since the evaluation of transfer credit can be lengthy, please be aware that the results of the evaluation may not be available prior to your arrival and registration at Minot State University. Applicants who did not complete their prior education in English must submit proof of English language proficiency. If you are transferring to MSU from a college or university in the United States you must submit a transfer form signed by you and the international coordinator at your current school. Please fax the form to the MSU Office of International Programs (701-858-3888). Photocopy of the page containing your personal information from your Passport. This information will be used to create your form I-20. On average it can take up to 14 business days to reach certain destinations in Canada. 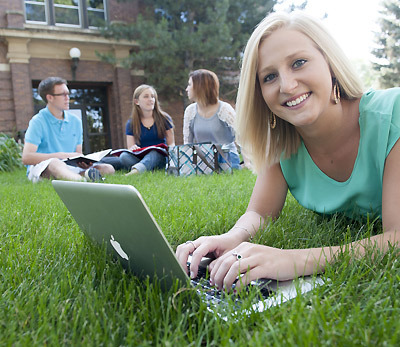 While applying at Minot State University take in consideration the mailing time of documents and plan ahead. Fall semester (August start): Submit your application and all supporting documents by July 15. Spring semester (January start): Submit your application and all supporting documents by October 15. You will receive an email notifying you of your admission status within two weeks after you submit all of the required documents. Full acceptance is not granted until all requirements are met. Upon receipt of all required documents and offer of acceptance, you will receive instructions on how to register for Connect Orientation. At Connect you will meet with an advisor, register for classes, and connect with fellow MSU students. In the meantime, please check out Steps for Admitted Students and the New Student Roadmap.